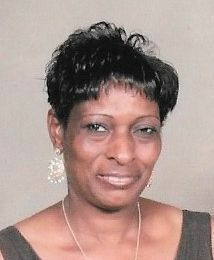 Thelma Ann Dortch was born February 3, 1955 in Mobile, Alabama, to the late Arthur and Jennie V. Dortch. Thelma was affectionately known as Lulu by her family. Her family would describe her as caring, generous, devoted and most of all genuine. Lulu loved her family unconditionally. Thelma graduated from Century High School in 1974 and displayed her talents as an energetic cheerleader on the Varsity Cheerleading Squad. She was employed at Vanity Fair in Atmore, Alabama for many-many years until she became too ill to work. Thelma joined Greater Union Baptist Church at an early age and was a member until 2003, at which time she joined James Street Baptist Church in Milton, Florida. God called Thelma home to Glory on Sunday afternoon, August 6, 2017, at Select Specialty Hospital in Pensacola, Florida, with her oldest son, Terrence by her side. She reaffirmed her Salvation to family members prior to her passing. Thelma was preceded in death by; her mother and father, Arthur and Jennie V. Dortch; grandparents, Samuel and Mary Joiner; and grandfather, Julius White Sr.; and her brothers Ezell and Allen Dortch. She leaves, not to mourn, but to rejoice in pleasant memories, three children: Terrence (Shemeeka) Dortch of Austell, Georgia; Nakita Barton of Flomaton, Alabama; and Shana (Mandell) Smith of Century, Florida. Seven grandchildren: Tanek Dortch, US Marines, Camp Lejeune, Jacksonville, North Carolina; Donovan and Gavin Dortch, Austell, Georgia; Kaleigha Johnson, Milton, Florida; Jaquan Barton, Mandell Jr., and Malia Smith all of Century, Florida; Five sisters: Dorothy Newton and Shelia Dortch both of Century, Florida; Clarissa (Peter) Burt, Flomaton, Alabama; Karen (Steve) Evans, Cincinnati, Ohio; and Annie (Warren) Gilmore, Milton, Florida; Six aunts: Vinna Louise Hudson, Cedartown, Florida; Lois White, Century, Florida; Katherine Hastings, Malboro, New York; Barbara Jean White, Poughkeepsie, New York; Melinda Harris and Deborah K. Edwards, both of Pensacola, Florida; one sister-in-law, Linda Dortch, Atmore, Alabama; one God-daughter Nichole Wright, Pensacola, Florida; thirteen nephews, twelve nieces, eleven great nephews, nine great nieces, three great-great nephews, two great-great nieces; two devoted great nieces who also served as caregivers; Braishia and Jayla Spears both of Century, Florida; two longtime friends: Emma Paige, Century, Florida; Marilyn Crosby, Monroeville, Alabama; a special friend, Ethel Burton, Century, Florida, and a host of other relatives and friends. To send flowers to the family of Thelma Ann Dortch, please visit our Heartfelt Sympathies Store.